Our group consists of students from grades 7-12 where our motto and name is “Unashamed” based on Romans 1:16 “For I am not ashamed of the gospel, for it is the power of God for salvation to everyone who believes.” We are a Christ-centered group constantly seeking out God’s will and following His example according to His word. We meet regularly three times a week: 9:30 am Sunday mornings, 5:30 pm Sunday evenings and 6:00 Wednesday evenings at FBC, where we engage in studying God’s word, worship and activities. 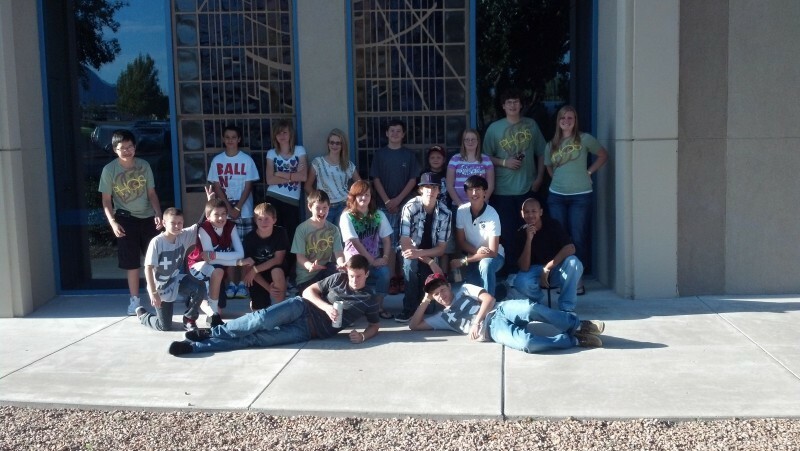 We also participate in FCA (Fellowship of Christian Athletes) at both Red Mountain Middle School and Deming High School, where we fellowship with other Christian students. We also attend out of town events such as “Acquire the Fire” and “Lives Ablaze” where we get to experience God on a different level. Our goal, as a group, is to share the gospel of Jesus Christ to a world, who so desperately needs Him. To reach out to our community with the love of Christ and to become more like Him everyday.